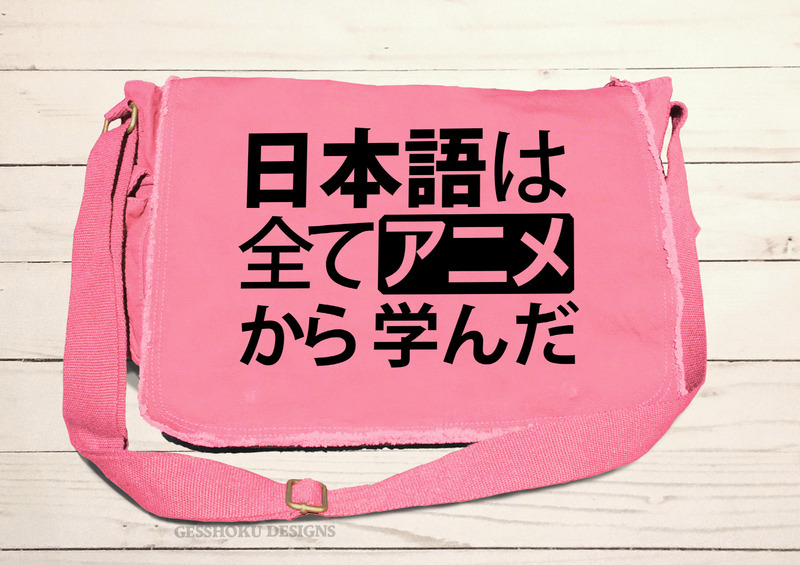 This one might raise your teacher's eyebrows in Japanese class, but is sure to amuse fellow Japanese speakers at anime conventions! 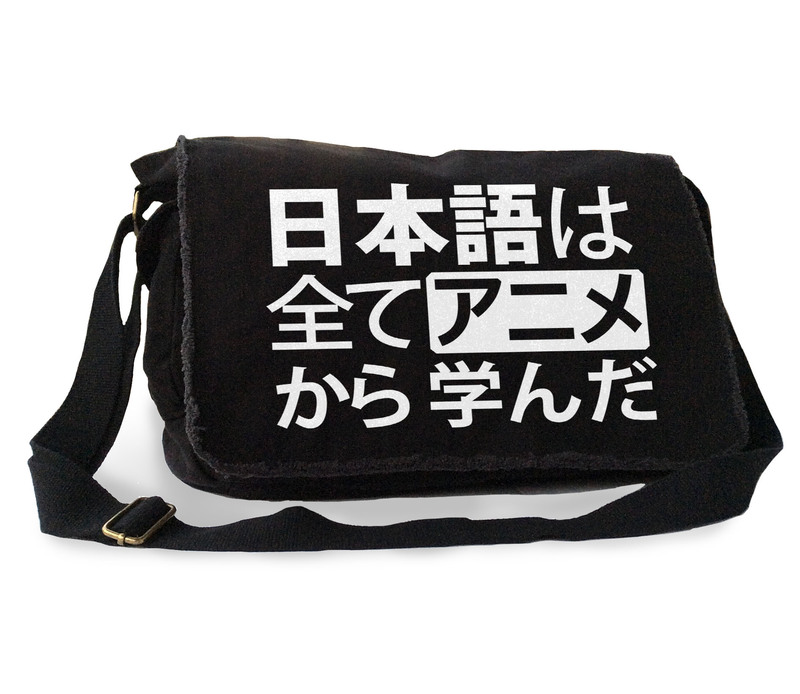 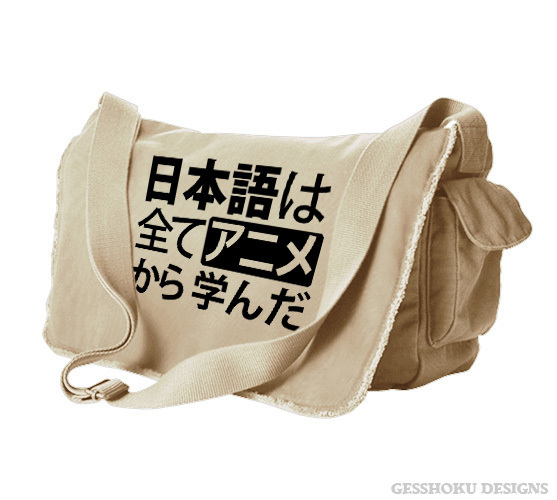 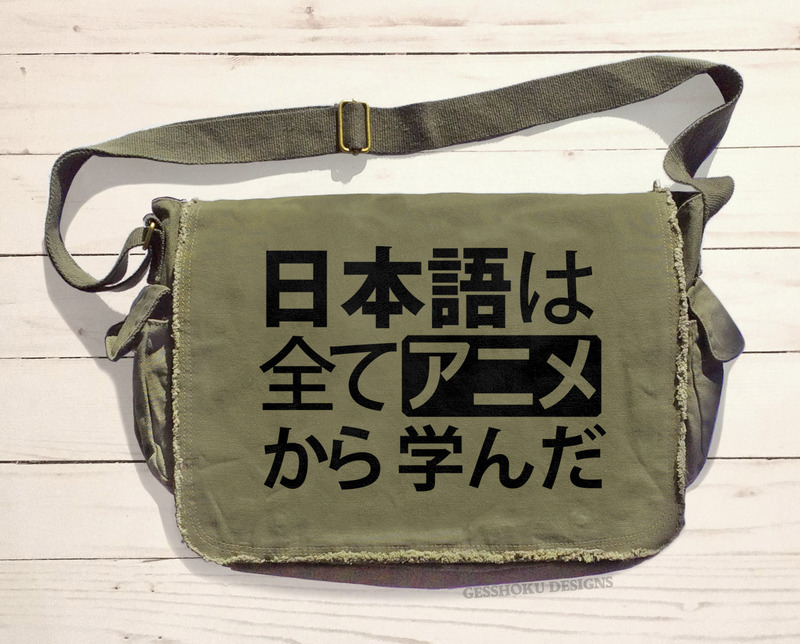 Bag says: "All my Japanese I learned from anime". 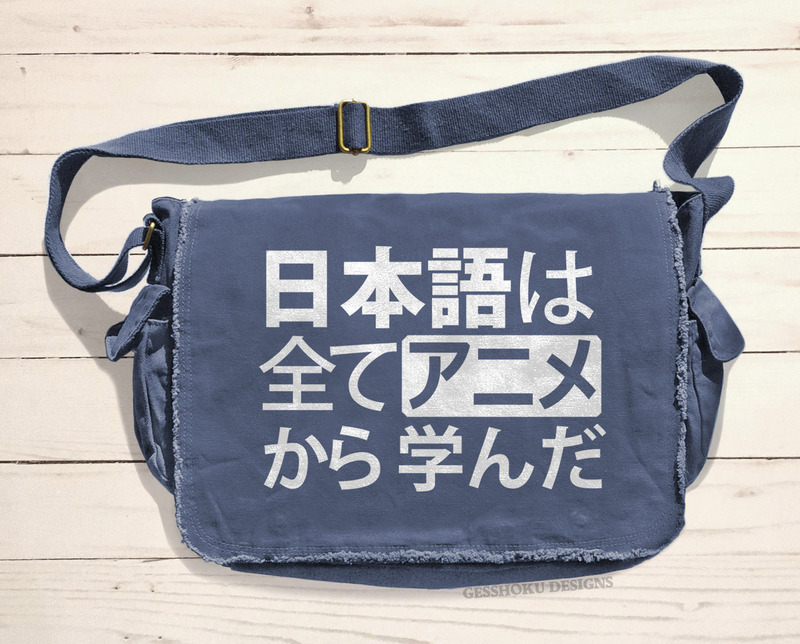 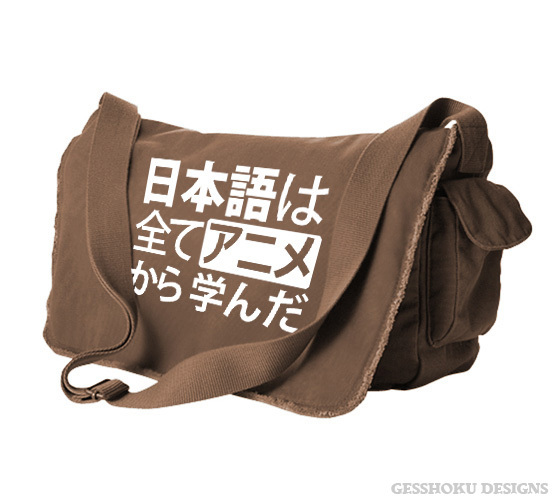 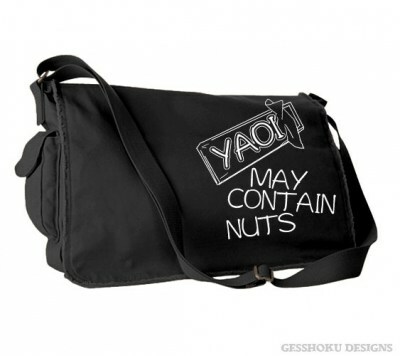 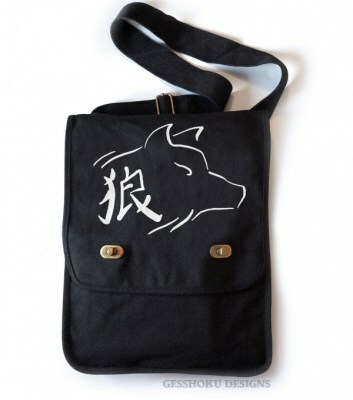 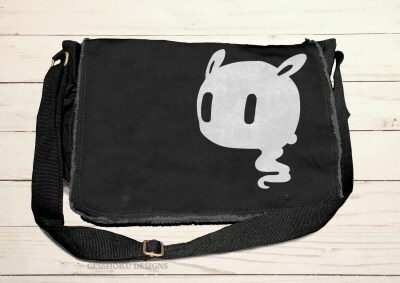 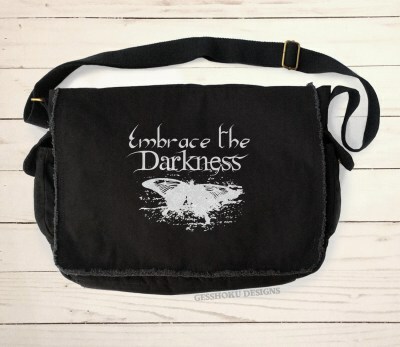 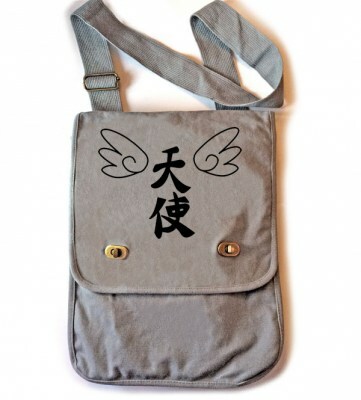 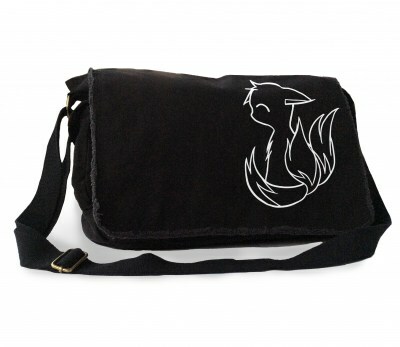 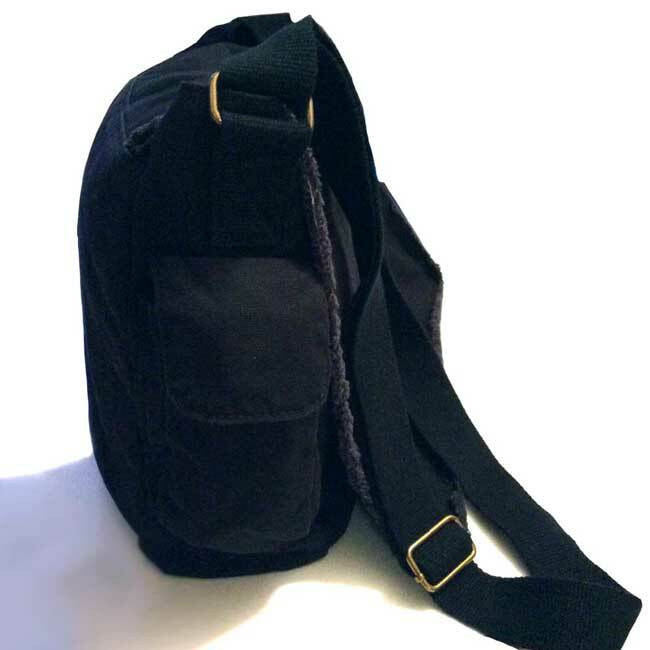 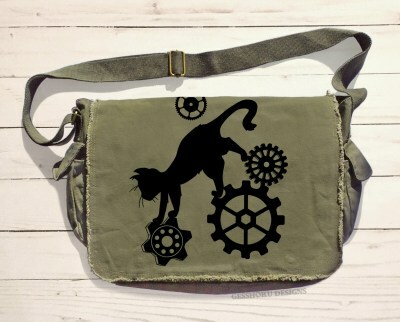 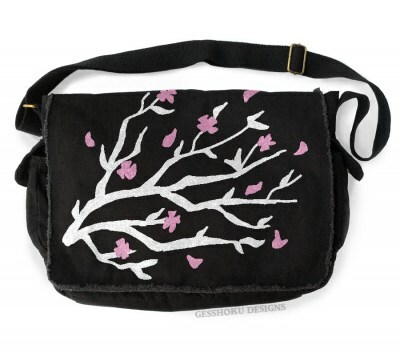 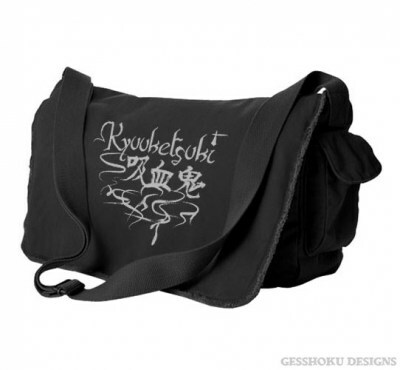 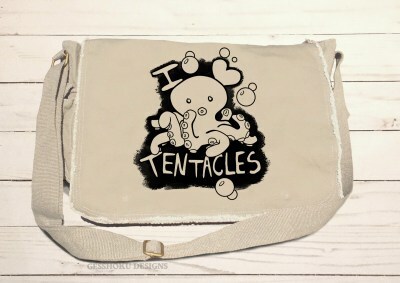 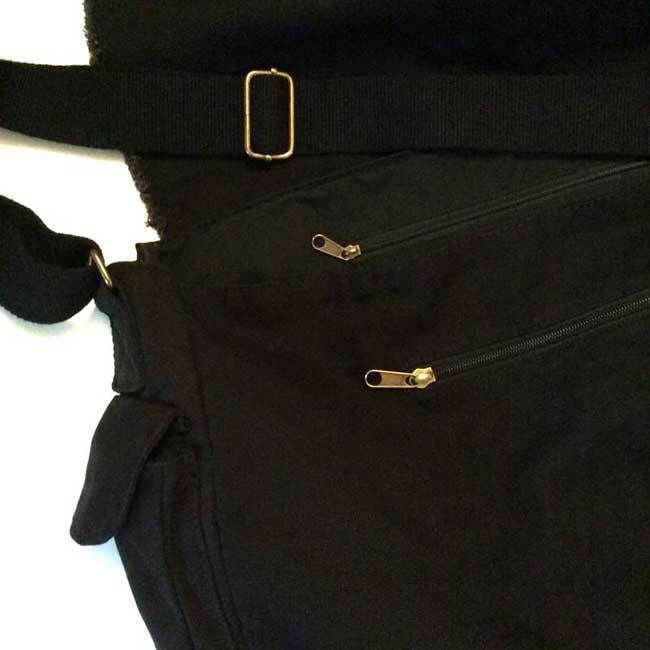 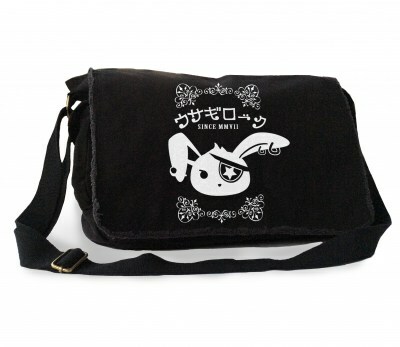 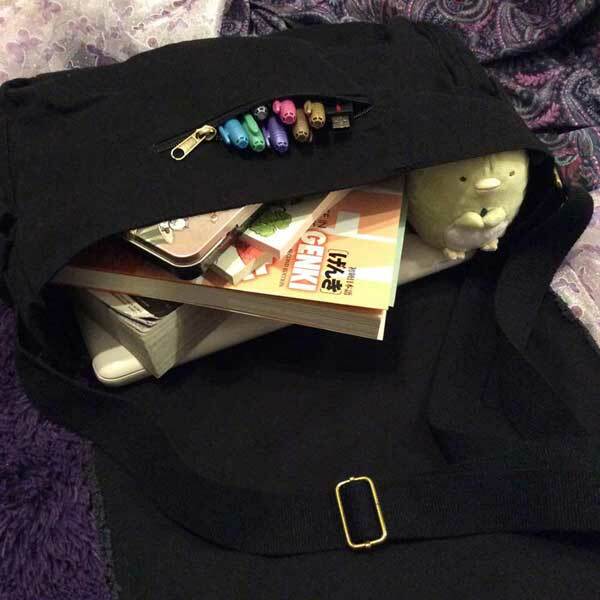 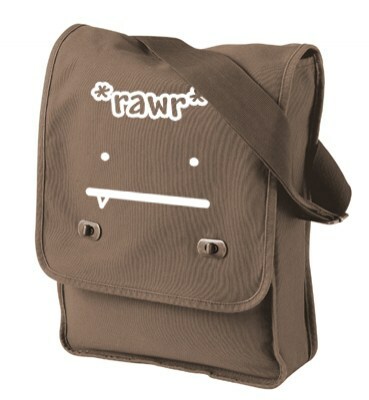 This soft and sturdy cotton canvas bag is a roomy 16 inches long x 11 1/2 inches tall x 4 3/4 inches wide, to give you enough space to carry books, your favorite cosplay outfit, and even your laptop!